← How Much Sodium Is In That? 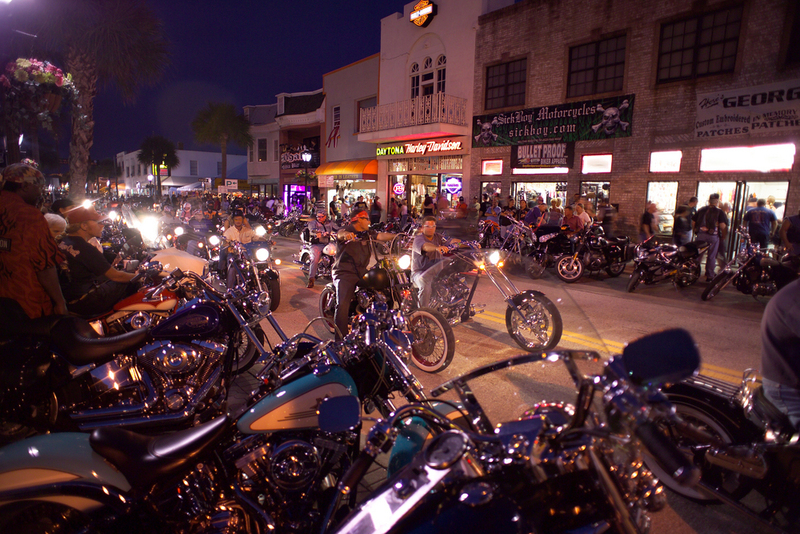 Why have a regular ol’ Octoberfest when you can experience Biketoberfest® in Daytona Beach. This is a roaring good time throughout Central East Florida, as bikers come from near and far to participate. There’s nothing like being on the road, enjoying the freedom and feeling that Florida sun. Ride the Loop, meet your fellow riders and enjoy fun events all four days. Even if you’re not on a bike, you won’t want to miss the glorious sound and vision of gleaming motorcycles by the thousands and the characters who ride them. Events will be happening throughout Daytona Beach, but Riverfront Park on South Beach Street will be hopping with vendors and food. DJ Ronnie will be keeping the music going from 10 am – 7 pm. Hourly giveaways and Beach Street Riverfront Beauties serving drinks spice up the action at the park. For more information including helpful ride maps and a full schedule, visit Biketoberfest.org. Find your Central East Florida lodging near Daytona Beach by clicking here. Posted on October 17, 2012, in Life In The Fab Lane and tagged Biketoberfest, Daytona Beach, Florida, mile marker, road trip, travel, vacation. Bookmark the permalink. Leave a comment.